TRIVIA: The Internet Movie Cars Database now has a listing for Terrorvision! Without their invaluable help I would never have learnt that this episode includes appearances by a 1975 Chevrolet Caprice, a Toyota Corolla Estate and a GMC Vandura. Thanks, guys. The page also has a link back to here, so I should probably point out to anyone who’s come here from there that in general this site is not vehicle-oriented. Sorry about that. This transcript is based on a videotape of the show as broadcast on Thames TV, London, at 1:45 AM on the night of Monday-Tuesday, August 21-22 1989. This was listed as a repeat, which I suspect means it was only shown once before, and to the best of my knowledge has never been seen since. Despite the profusion of satellite, cable, and now digital channels that have sprung up in the UK in recent years, Terrorvision has never been picked up for a re-run. A few words about Thames Television, in case anyone’s remotely interested: Thames was formed in 1968 as a joint venture between the owners of two earlier stations, Rediffusion and ABC (Associated-British Picture Corporation, not affiliated with its US or Australian namesakes). 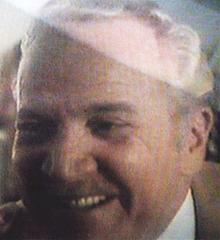 As an ITV Network franchise holder, Thames was a production company as well as a broadcaster, making such highly-acclaimed programmes as The World at War, The Benny Hill Show, Callan, Hollywood, Unknown Chaplin, The Sweeney, The Bill and Minder for the ITV Network, which also carried material by other companies like Yorkshire Television and Granada. In 1992 Thames controversially lost its broadcast franchise to Michael Green’s Carlton Communications, for reasons that had nothing to do with the quality of Thames’ programming, but its production arm has continued to make programmes for ITV and other channels. Thames later became part of the Pearson group, later Fremantle Media, and was eventually merged with another company to form TalkBackTHAMES. 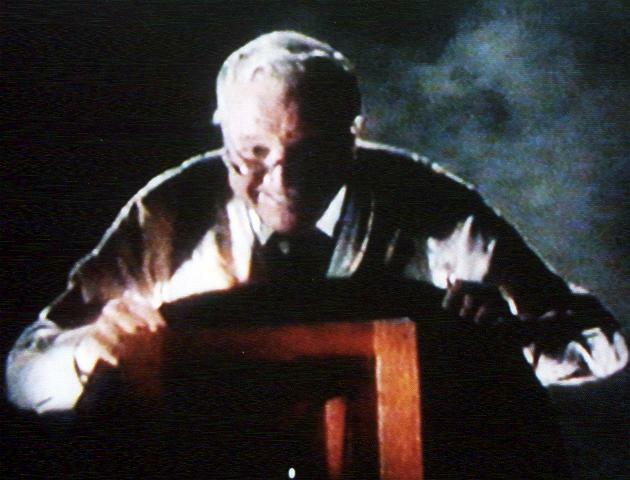 Some stations on the ITV network, including Thames in London, ran a few episodes of Terrorvision as short fillers in the post-midnight graveyard slot (the same place the 80s Twilight Zone originally got dumped in Britain). Each episode was only 15 minutes long (approximately 12 minutes excluding commercials etc). Presumably stations would have had the option of running them in blocks to fill 30 or 60-minute slots if sufficient episodes had been made. Given the generally cheap and tacky look of the show it’s something of a miracle that it was distributed internationally at all. I suspect they were included in a package of American programmes that ITV bought. Any shows that weren’t considered suitable for peak (prime) time would have been offered to individual stations to schedule as they saw fit. 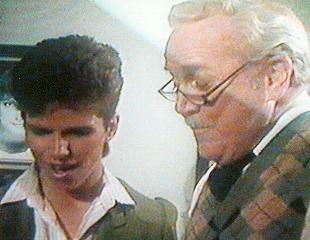 All told I only saw five or six episodes of Terrorvision, and I don’t know if any more were ever made. There was the one about a company director who kills his partner and is haunted by his ghost; the one about a boy’s fear of the monster in his closet, featuring the most rubbery-looking creature ever seen on screen; there was one in which a man who’s run up a huge gambling debt robs a butcher to pay it back, locks his expensive girlfriend and his butcher in the butcher’s freezer, and then freezes to death himself when his shower turns cold; and the one about a businessman with a sweet tooth who develops a new kind of craving after visiting his all-night dentist - Dr. A. Cula! 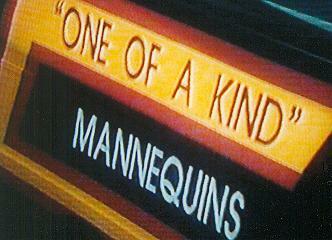 I was alerted to this episode by its listing in TVTimes Magazine, which read something like: “When a mannequin store advertises for models, Brenda decides to take the job.” Not a bad preview for a tiny late-night show, and I could hardly resist a description like that! I have transcribed the episode using American spelling throughout. All scene numbering and stage directions are my own interpretations. I’d welcome any further comments or suggestions. This page includes lots of pictures from the episode. They may take a while to load, but if you’ve been reading the text up to this point they should all have loaded by now! This transcript was composed using Microsoft Word 2000. I found the program’s multiple clipboard facility to be a godsend when transcribing the characters’ names, so whatever you may think of Mr. Gates and his crew, I’d say they have their uses! On the other hand, Word 2000 also produced tons of unnecessary code which I had to spend ages removing by hand just to save on file size! My scene-by-scene notes on the episode follow the transcript. Hopefully the remaining directions such as CUT, and FADE INand OUT are self-explanatory. Some of the dissolves between scenes are accompanied by digital picture rotation effects. Very ’80s! A man looks around nervously. 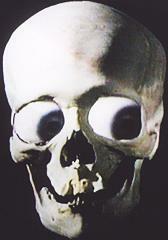 FADE IN on SKULL WITH EYES, which moves aside to reveal the episode title in normal lettering: ONE OF A KIND. FADE OUT. The camera is looking through tree branches at a small store across the street. As the camera cranes down we hear the voices of the elderly MR and MRS BENJAMIN (“DADDY” and “MOTHER” to each other), the proprietors. 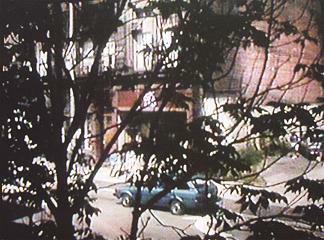 Once the camera has cleared the branches we see that the sign above the shop window reads ONE OF A KIND. MRS BENJAMIN (OOV) You’re not worried, are you, Daddy? MR BENJAMIN (OOV) Why, whatever for? MRS BENJAMIN (OOV) We have orders to fill, shipments to make. There’s a truck due in two hours, and you’re not worried? Men! You’re all alike! MR BENJAMIN (OOV) Shh - look at these girls, Mother. They’re lovely. Just lovely. INT STORE WINDOW: A hand pushes aside a curtain. MR BENJAMIN (continuing OOV) Mother, come look. Very nice figures. MRS BENJAMIN (OOV) Well...the blonde has possibilities, but you’ve done better, Daddy. Yes...she has possibilities. EXT STREET - seen through the shop window from the speakers’ point of view. Two young women are approaching the store from across the street. BRENDA is blonde, casually dressed, and wearing sunglasses. JOAN is brunette and wears a smart business outfit. MR BENJAMIN(OOV) I think she would photograph...quite nicely. EXT STREET: CU on sign in window, which BRENDA reads aloud. We then pull back to see BRENDA and JOAN outside the store. BRENDA (Reads) “Models - Apply Within.” (To Joan) Haven’t you always wanted to be a model? Just to wear all those great clothes. JOAN Give me a break. You’re not gonna fall for this, are you? BRENDA What, d’you think it’s some sort of hype? BRENDA Well, just look at the mannequins. They’re gorgeous. CU mannequin sitting in the window, then back to BRENDA. BRENDA (continuing) Wouldn’t you like to look like that? JOAN Look, I’m late for my interview. Are you coming? BRENDA No, I’m going to stay here and apply for the job. Why don’t you come back here after your interview? JOAN Sure. What about dinner? BRENDA Well, if I get this job I’ll treat. JOAN Ooh, it’s a deal. I’ll be there. (Beat) Don’t do anything foolish. BRENDA Me, foolish? You’ve got to be kidding. 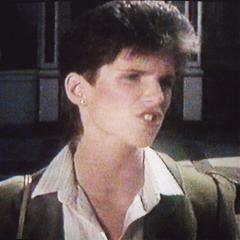 Suddenly BRENDA starts as she sees someone standing behind her - it’s MR BENJAMIN. For the first time we see that he is a handsome, polite, elderly gentleman. BRENDA I’m sorry, you scared me. MR BENJAMIN I’m sorry, my dear, forgive me. I couldn’t help noticing how smashing you’d look in that dress. BRENDA Thank you, it’s very nice. A bit pricey, though. MR BENJAMIN Oh, well then, perhaps something in our marked-down section? BRENDA Well, actually, I didn’t come in to buy anything. I came in because of the sign in the window. MR BENJAMIN (Seems confused for a moment) Sign? Uh, what...oh, the modeling sign, is that it? BRENDA Yes, that’s the one, about being a model. I was interested in knowing a little bit more about it. MR BENJAMIN Oh, well, young lady, modeling isn’t all that easy. We look for certain qualities, you know. Looks, figure, poise...(chuckles) complexion. BRENDA I think I have those things. Look at her. BRENDA points to one of the model pics. 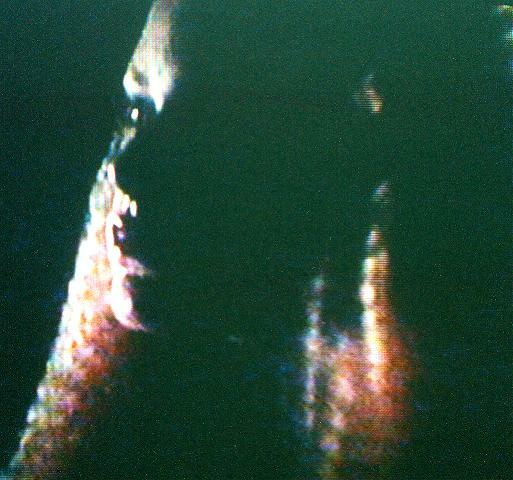 Close up of photo. Once again we hear a scared, distorted voice. BRENDA (Interrupting) Oh, please! I’ve always wanted to be a model! You said yourself I’d look great in that dress. At this point MRS BENJAMIN enters. She is about the same age as her husband, and just as polite. MRS BENJAMIN Is something wrong? BRENDA (Takes MRS BENJAMIN’s hand) Maybe you could talk to him. All I wanted was a chance. He wants me to fill out an application. MRS BENJAMIN Well...well, you do seem to be quite anxious. What’s your name? MRS BENJAMIN (To MR BENJAMIN) Sometimes, Daddy, you just jump to conclusions. Men are all alike - (to BRENDA) aren’t they, Brenda? BRENDA chuckles at this. MRS BENJAMIN goes to the racks and takes out a sequined dress. MRS BENJAMIN (Continuing) Anyway, I.... (Holds up dress) Oh, that would look wonderful on you. (To MR BENJAMIN) What would it hurt to give her an audition? BRENDA Seriously? Oh, wow, that would be terrific. MRS BENJAMIN You come with me, dear. 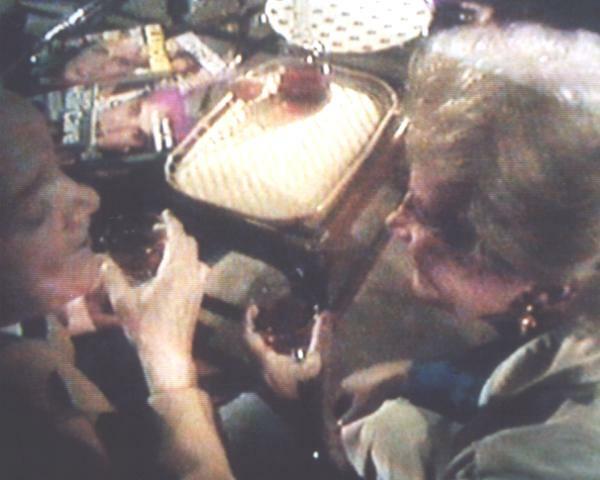 MRS BENJAMIN exits with BRENDA. As they depart the camera zooms past them to one of the model photos. INT. OffICE. JOAN is sitting next to a secretary’s desk, looking bored and frustrated. Phone rings. The SECRETARY takes the call. Throughout the above we see JOAN struggling with decreasing success to conceal her frustration. INT ONE OF A KIND STORE. A small lounge at the rear of the store. Two or three armchairs and a coffee table. MR AND MRS BENJAMIN approach. MRS BENJAMIN is carrying a tray bearing a decanter and three glasses of wine. MR BENJAMIN sits down. MR BENJAMIN What did I tell you, Mother? Perfect, just perfect. MRS BENJAMIN (Setting the tray on the coffee table) You almost broke her heart, poor thing. You men are all alike. MR BENJAMIN But you’re going to have to do something with her hair, though. MRS BENJAMIN (Close up on her hands as she breaks a capsule containing some kind of powder into one of the wine glasses) And her makeup! Dreadful use of color. I don’t want any of our girls going out looking like that! 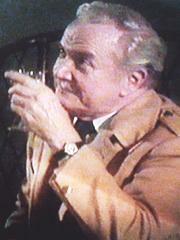 MR BENJAMIN (Picking up his wineglass) Remember those torrential rains we had last summer? MRS BENJAMIN (Picking up her glass and sitting down) Course I do. All my marigolds got washed away. (Chuckles) Couldn’t save a one of ’em. Such a pity...why? MR BENJAMIN Our Miss Brenda reminds me of that little Irish girl that came in to us after the storm. MRS BENJAMIN Maureen, wasn’t it? Looked like a drowned rat! (Laughing) It took me three hours do her hair and makeup. Oh, she was soaked! MR BENJAMIN Well, you’ll not have three hours with this one, my dear. Our little princess has to be up and out and on the job in no time flat! They touch glasses in salute. 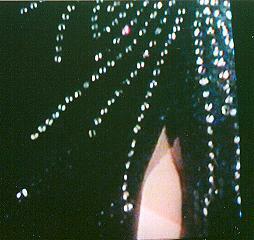 BRENDA enters wearing the sequined dress. MRS BENJAMIN (Stands up) Oh, look! Oh, I wanna get some pictures of Brenda in her lovely outfit. MR BENJAMIN Pictures? Oh, I don’t think Miss Brenda’s ready for photographs right now. This is all happening so fast. BRENDA Oh, please. I feel so...so wonderful. Pictures would be just terrific! MRS BENJAMIN I agree with Brenda. Take some pictures and stop complaining. (Beat) I think Brenda might just be the face and figure they’re looking for at Conrad’s this fall. BRENDA (Thrilled at the idea) Conrad’s? You mean THE Conrad’s, downtown? MRS BENJAMIN (Chuckles) Now, don’t get all excited. It’s just an idea I had. MR BENJAMIN Now, there you go again, Mother, getting their hopes up. But I suppose a few photographs might not hurt. BRENDA Well, how should I pose? I mean, I’ve never done this before. Is my hair all right? My makeup? MRS BENJAMIN Don’t worry, I’ll take care of everything. Here. 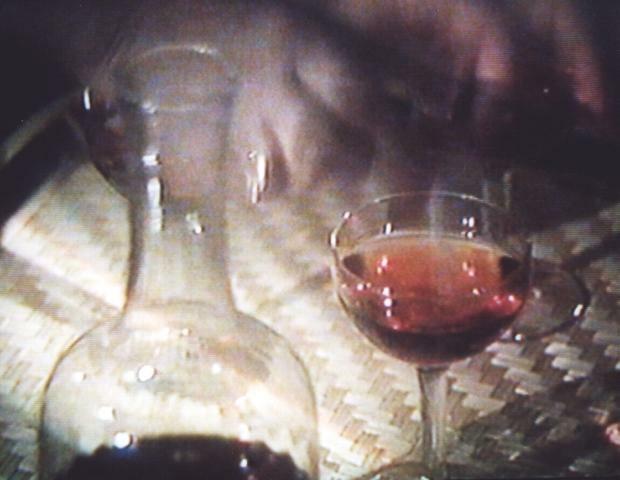 (She hands Brenda the third wineglass) Have a sip of wine to help you relax and get in the mood. BRENDA drinks the drugged wine. MR BENJAMIN raises his glass to MRS BENJAMIN. 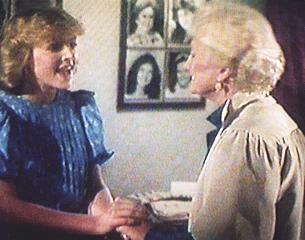 MRS BENJAMIN leads BRENDA away. INT OffICE. JOAN is still waiting. MAN Ah. Follow me, please. INT ONE OF A KIND STORE - STUDIO AT REAR. The background is plain black, and there is a little atmospheric smoke. Music plays quietly. BRENDA is still wearing the sequined dress. MRS BENJAMIN Lovely. Now you relax and move with the music. Let yourself go, and Daddy will take some nice pictures of you...just being beautiful. MR BENJAMIN is standing behind an old-fashioned wooden plate camera, complete with a dark hood and a bulb shutter release. Montage of BRENDA trying out various poses. MR BENJAMIN Fine. Hold it! MR BENJAMIN clicks the shutter. As he does so a green flash appears in the lens. BRENDA suddenly looks uncomfortable. BRENDA That’s a really funny camera. What kind is it? MR BENJAMIN Oh, this is the camera that makes our models so special (chuckles). Ready? MR BENJAMIN And a little higher...fine. Hold it! MRS BENJAMIN arrives and stands next to MR BENJAMIN. The lighting and smoke give them both a rather sinister appearance. MRS BENJAMIN This could be our best one! BRENDA continues to pose, but her movements are becoming a little stiff. The green rays strike BRENDA again, and she raises a hand to her head as if she feels a sudden migraine. More green rays emerge from the camera and strike BRENDA, who is now looking distinctly uncomfortable. 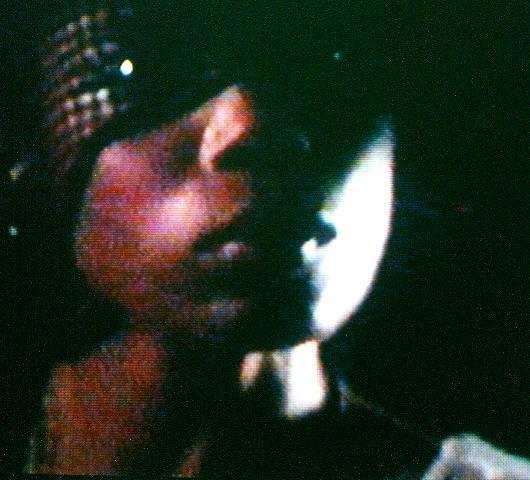 BRENDA’S POV: The blurred figure of MRS BENJAMIN looms out of the darkness. MRS BENJAMIN Very nice. Very nice, Brenda. The camera shoots more rays. More rays emerge from the camera. BRENDA stiffly raises her hand to her head...and freezes into immobility! The camera flashes again, and again, and each time it does so her body looks shinier and more like plastic! INT. OffICE. JOAN is preparing to leave. JOAN (Thinks) That took forever. It wasn’t even worth it. I wonder how Brenda did? JOAN exchanges insincere smiles with the SECRETARY as she leaves. INT ONE OF A KIND STORE - SOMEWHERE OUT BACK. CU Model photo of BRENDA as MR BENJAMIN takes it out of a developing tray. 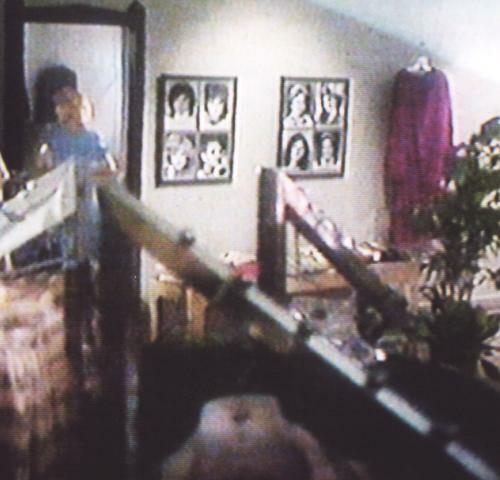 For a moment we hear Brenda’s distorted voice...CUT TO REAR VIEW of MRS BENJAMIN combing BRENDA’s hair...except that BRENDA’s hair now seems more like a wig. MRS BENJAMIN keeps combing and primping throughout this scene. MRS BENJAMIN You’re such a pretty girl, with such nice hair. I’m not just saying this! BRENDA doesn’t reply. Enter MR BENJAMIN. MR BENJAMIN To think, Mother, you said I was losing my eye! I can still see a pretty girl and tell when she’s just right. MRS BENJAMIN Someone in the shop. Shall I go? MRS BENJAMIN (To BRENDA) You could be one of my all-time favorites, Miss Brenda. BRENDA still doesn’t reply, or move a muscle. INT ONE OF A KIND STORE - front of store. 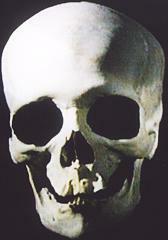 Montage of close-ups of the model photos. Again we hear distorted voices and cries of alarm. We pull back to see that JOAN is admiring the photos. MR BENJAMIN has just arrived behind her. MR BENJAMIN Can I help you? JOAN Oh, you startled me. JOAN Actually I was just looking for my friend Brenda. CUT TO: CU BRENDA’S legs, wearing the sequined dress. BRENDA doesn’t move as the camera travels slowly upward...then we CUT BACK to JOAN and MR BENJAMIN. JOAN (Continuing) She came in a few hours ago. My height, blonde. MR BENJAMIN Oh, asking about modeling. CUT TO: close up as before, as the camera travels up to BRENDA’S waist. She still doesn’t move...then we CUT BACK to JOAN and MR BENJAMIN. MR BENJAMIN Lovely girl. Perfect, just perfect. We loved her instantly. Look at her test photo. 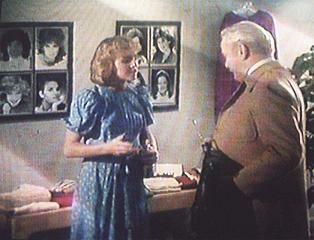 MR BENJAMIN shows JOAN the photo of BRENDA. Again we hear Brenda’s distorted voice. MR BENJAMIN (Continuing) We already sent her out on her first job. 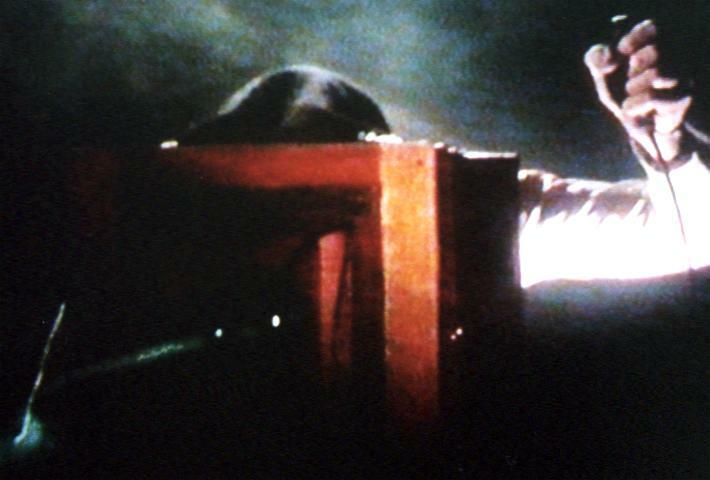 CUT TO: Close up of BRENDA...lying face-up in a straw-lined crate. Her hair is a wig and her face looks like plastic. She doesn’t make the slightest movement. She has been turned into a mannequin! Once again we hear her distorted voice...then we CUT BACK to JOAN and MR BENJAMIN. CUT TO: The lid is placed on the crate. 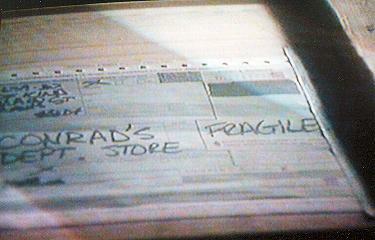 The shipping label reads CONRAD’S DEPT. STORE - FRAGILE...then we CUT BACK to JOAN and MR BENJAMIN. JOAN Conrad’s? I can’t believe it! Out on a modeling job! JOAN’S VOICE (Echoes) A modeling job! ...Then we CUT BACK to JOAN and MR BENJAMIN. MR BENJAMIN A very fortunate girl. She was in the right place at the right time. CUT TO: Someone just out of vision pushes the crate out of shot...then we CUT BACK to JOAN and MR BENJAMIN. JOAN Say, what about me? Could I be a model? Brief shot of model photo on wall. JOAN (Continuing) If she can, I can. CUT TO: Brief flashback to BRENDA freezing into immobility...then we CUT BACK to JOAN and MR BENJAMIN. JOAN No, really. How do I look? CUT TO: INT LOADING BAY AT REAR OF STORE. A WAREHOUSEMAN closes the door of a delivery van while MRS BENJAMIN inspects...then we CUT BACK to JOAN and MR BENJAMIN. MR BENJAMIN Well, my dear young woman, modeling’s not all that easy. We look for certain qualities, you know. Looks, figure, poise...(chuckles) complexion. JOAN I think I have those things. Look at these models. (Indicates pictures on wall.) I look as good as they do. As his voice echoes we CUT TO EXT. LOADING BAY where the van is just driving away, revealing that the sign on its side reads ONE OF A KIND MANNEQUINS. We then CUT TO INT. STOREROOM where we see a montage of several disturbingly realistic MANNEQUINS standing with expressions of fear or surprise frozen on their faces, and we hear their distorted cries of alarm. CUT TO EXT. LOADING BAY as the van drives away. There is also a “Thank You” credit to OFFICER KEN WELLS, CINCINNATI POLICE DEPT. Can we assume from this that the exterior scenes were shot in Cincinnati? I can’t tell you the original date of this programme, or the production company’s name, because my copy dissolves to a Thames logo before the credits finish! 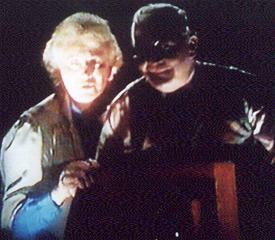 The ‘scary’ theme tune is played on a cheap synthesizer, which also plays some incidental stings throughout the episode. 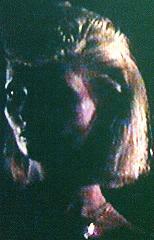 As far as I can tell, the montage of scenes in the opening titles is compiled from other Terrorvision episodes. The fact that there aren’t any from One of a Kind suggests that it was made later. There have been some low-budget shows on TV, but Terrorvision really takes the prize. In almost every scene it’s possible to see where the money wasn’t spent. 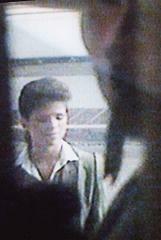 For starters, the show was shot entirely on videotape. This can make certain types of special effect (like the mannequin transformation in this episode) easier to accomplish, but it can also look cheap compared to film, which is why most prestigious big-budget shows use film. The picture also looks very dark, but unfortunately that’s not uncommon nowadays. I read somewhere that pictures with reduced colour and contrast are easier to transmit over digital circuits, but I suspect the real reason they do it is to make the commercials look brighter! The sound is also slightly muddy, possibly due to excessive noise reduction (if you record an audio cassette with Dolby noise reduction turned off and then play it back with Dolby-C turned on, you get a similar effect). Brenda says, “Look at the mannequins”, plural, but in fact we only see one mannequin in the window. It seems to be a real mannequin as opposed to an actress as in Scene 9. The moving eyes (before and after)appear to have been superimposed electronically. The moving eyes appear to show that the mannequin is alive and conscious. In the context of the story the mannequin in the window plays an interesting role. 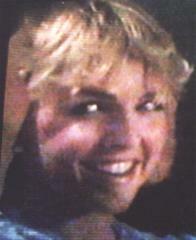 She’s the “Judas goat”, placed there to lure other unsuspecting young women to the same fate. How do you suppose she feels about that? Brenda’s “Wouldn’t you like to look like that?” is an obvious but effective bit of foreshadowing. And so we get our first look at the interior of the store, and it looks surprisingly good. 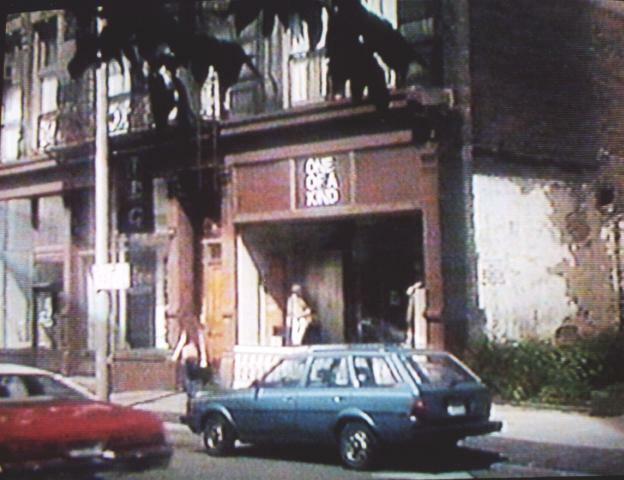 It seems like the producers blew their entire set budget on the front of the shop - see notes on Scene 6. The model photos on the walls (example) are obviously the work of professional photographers, and were presumably bought or hired as props. It would have been better if they could have used photos of the actresses playing mannequins in scene 9 so the faces would match, but presumably that would have been too expensive. The scared, distorted voices are actually backward tapes with added echo. Played backward they seem to say things like “Go away!” and “This isn’t the place for you!” Perhaps the voices indicate that the models’ souls have been captured in the photos, but then that would mean their souls are not in their mannequinized bodies. Wouldn’t it? Thanks to the muddy sound quality I couldn’t quite make out the name of the company - Something Industries. “Elms” is my best guess. More muddy sound. “Morton” is another guess. The photo studio has featureless black walls. I mean, I’ve heard of minimalism, but come on! Mr. B’s camera is an old-fashioned wooden plate camera with a brass lens mount, the kind where the photographer has to use a black hood to shield the photographic plate from any stray light. The camera looks authentic and was probably hired from a props agency. The green rays that emerge from the camera are a video effect. They might have been produced on a computer, or possibly traced on paper from the screen, then re-shot and superimposed as a colour-tinted negative. The effect of Brenda’s skin turning shiny appears to be achieved initially using makeup. 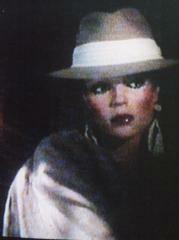 In the scene where she finally freezes, a video freeze frame is used and digital paintbox fx are applied to her skin to make it look increasingly shiny and plasticised. If the camera was the freezing agent why did Brenda need to be drugged first? Did it take both the drug and the camera to freeze her? Just so this scene doesn’t go without a note...this is the only scene in which we hear a character’s thoughts. Brenda’s photo doesn’t look as good as the other model photos. [I wanted to include a picture of it, but it didn’t come out properly. Maybe in a later update.] Why not? Because, unlike them, it’s actually a black and white vidcap of her posing in Scene 6. Compared to the real photos, Brenda’s image looks very blurry and lacking in contrast. (Professional black and white photos are always “dodged and burned” at the printing stage to optimise contrast and detail in different areas of the picture. This obviously isn’t possible with a vidcap.) It’s not nearly as good as you’d expect from a plate camera, however old. Brenda remains so convincingly immobile in this scene that I’m not entirely sure the actress wasn’t replaced by a real mannequin! Oh, yes, about those photos on the wall. If they’re all pictures of girls who were transformed into mannequins, wouldn’t they be incriminating evidence when the police come searching for the missing girls? As James ML has pointed out, one of the major weaknesses of this show is that we never get to see Brenda standing on display. After she’s frozen we only get a brief head and shoulders shot from behind, some shots of her legs wearing the dress, and finally a couple of shots of her lying in the crate. I suppose shooting scenes set in Conrad’s Department Store itself would have been out of the question on the show’s limited budget. I imagine any real department store would charge a hefty fee to anyone who wanted to use it as a location. The final few shots of girls transformed into mannequins take place in darkness , with a few stray beams of light showing through (another scene where they didn’t have money for sets, I presume). It’s not entirely clear where they’re supposed to be, but I’m assuming they’re in the storeroom at One of a Kind, either awaiting shipment or between “assignments”. 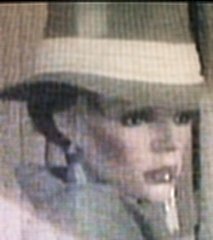 Unlike the mannequin in the window these are actual made-up models or actresses posing motionless, as witness the cast list. So there you have it. With a bigger budget and better special effects this show could have been an all-time ASFR classic, but as it is it’s a bit like a pencil sketch that could have been the basis for a great painting. It’s nice to be able to view the sketch, but you’ll always wonder just how much better the painting would have been. I’ve tried to make this article as comprehensive as possible, but if anybody can supply me with some additional information I’ll be forever in their debt (though not, you understand, in any financial sense of the word). Where did the series originally air (network/cable/syndication)? Can anyone tell me the original airdates? What was the name of the production company? How many episodes of Terrorvision were made altogether? Can anyone supply an episode guide? What’s the Glenn Miller tune that’s heard playing in the shop, and over the end credits? Can anyone supply biographical details for the cast members, particularly the four main actors? Does anyone have information on the production company, producer, director, and the special effects techniques used? If you have answers to these questions (and many others), or any comments on this article, please feel free to follow the link below. Thanks for your attention.